Robotic Palletizing has become very prevalent because a robot can perform the repetitive task of stacking cases on pallets efficiently, in addition to being flexible to future production changes. Robotic Palletizing systems can be configured to accept multiple product SKU's simultaneously, handle other packaging materials such as slip sheets and pallets, and minimize required floor space. Robotic Case Packing has also grown in popularity over more traditional high speed case packing equipment. Again, the flexible nature of robots allows the robotic case packer to be reconfigured and re-programmed to adapt to the more rapid changes in product packaging. PE Engineering Sales starts with assessment of our client's needs to help determine if a robotic solution is appropriate. It is best to examine the physical characteristics of the product to be handled, rates, as well as business objectives to determine if a robot solution will provide a return on the investment. 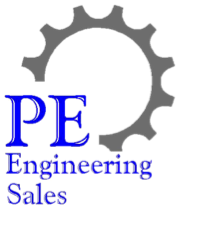 When a potential project looks feasible, PE Engineering Sales works with our robot and systems integration partners to provide a team with the experience and knowledge that will result in a successful integrated robotic system. Contact Us for assistance with your next robotic palletizing or robotic case packing project.